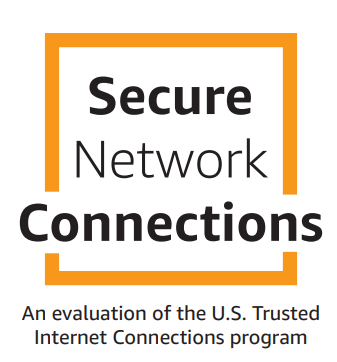 AWS recently released the first guide in the new AWS Government Handbook Series: Secure Network Connections: An evaluation of the US Trusted Internet Connections program. This new series examines key cybersecurity policy initiatives that have been operating in the traditional IT space, unpacks their security objectives, and identifies lessons learned and best practices of global government first movers and early adopters seeking to achieve the initiative’s security outcomes in the cloud. In particular, “Secure Network Connections” provides guidance to government policy makers on AWS’s position and recommendations for establishing cloud-based network perimeter monitoring capabilities. Note that this guidance can be applied to any organization that requires centralized perimeter network monitoring. The guide also summarizes lessons learned from AWS’s work with the US Department of Homeland Security (DHS) through an analysis of its federal secure network connections program, Trusted Internet Connections (TIC). If you have questions or comments about this new guide, submit them in the “Comments” section below. And note that the next guide in this series will be published later this year.